← And, Man was made God and dwelt amongst us. “We done him in ourselves.” The Grand Old Party today: No time for a gentleman here, boys. Richie rich, cream shoe, high silk hatters keep out!! “We done him in ourselves,” brag the true believers of Governor Mitt Romney, as there is clearly, to their minds, no time or place for the gentlemanly sort in the Grand Old Party today. I see, but just what sort of men do we want then, dear friends? His Father’s own son: A tale of two Romneys–two good men castigated and brought low, we now discover in part by their own, the younger one 50 years after the elder one for the same reason—their treasonous sin whose name is called moderation. I read my Party post mortems of the election of 2012 and have to laugh–sardonically perhaps–but laugh nonetheless. Everybody, it would seem, is an expert on what went wrong. Moreover, they all stumble over one another trying to one up the other guy about who had earliest prophesied that the nomination of Mitt Romney was “fixed by the GOP establishment,” despite the legitimate yearnings of the people for a fire-breathing zealot. The hard right flank of my Party is of course convinced that Romney was a compromiser, an equivocator, an ameliorator, a Democratic Trojan horse. Some brag proudly today openly to me that they didn’t even bother to vote for our Party standard-bearer. Well, thanks a lot, guys. Remember, as they say, you get the government you deserve, so if you sandbagged Mitt on purpose for his moderation, let us have now no high talk about rabid radicals in the White House for the next 4 years—as you confess you helped to re-elect the President of the other Party in order to further the ethnic cleansing of our own Party. Congratulations! Today, I was simply bowled over by the notion that it was Mitt Romney’s generalized moderation and his “neo-conservative” attitudes that done him in. It is simply hilarious, for example, to suggest that any appreciable number of American citizens have even a vague idea of what a “neo-conservative” is or any interest in learning. That is all inside Washington baseball talk. While there is no GOP establishment in any formal, de jure, sense, there is a de facto ownership of the Party by certain big money donors—much as is the case in the other Party. These rich men wanted Romney. He was their guy. No question. But Romney was not a bad man. He simply did not fit the times. This bad fit is terribly sad because Mitt would have been a very good President. Mitt was, and remains, a very good man as was his father before him, both of them gentlemen. I am distressed to read that so many of my Party think the idea of having a gentleman for a President is such a dreadful idea. Do these writers think the Americans want and deserve a rabid, screaming, pagan Helot as their President? Put another way, is our Party principally the Party of gentlemen of business and the Big Tent, or is it not? On a personal note, I am long retired from competitive race riding—which is to say what politics is—in proper visualization—horse racing riding. Politics is replete with racing analogies that today are frequently used without the speaker or writer consciously understanding the origins of the terms. Presidential races are Kentucky Derbies—for a rider—our senior prom—our big dance. If you’ve never ridden one you can never know the feeling that comes from hearing “My Old Kentucky Home” played in the post parade. Just so as it is true how few players ever play in a Super Bowl and those who do will attest the feeling going on that field is unlike any other you will ever experience. Every American boy knows how to play American football, but what number ever stand on the field in the Super Bowl? Similarly so with Presidential politics—which is a horse race like none other—how many jockeys ever ride in that race? Almost none ride in it. And, as I never criticize other jockeys, I do not here criticize Romney’s kids—I assume they rode best race—nobody wants to lose a Kentucky Derby, I assure of that. The rider tries his best to get the horse to win. That said, all your plans, all your best strategy and calculations, evaporate when the gates open. The jockey does his best and rides his breaks based on split second decisions that other people endlessly second-guess but I never do–I never criticize other race riders—it’s just not polite—plus—I am long retired and in the stands with the other spectators and I didn’t ride the horse–so it really isn’t any of my business. I conclude that Romney trusted his rider and that the kid did his best and they lost. I was asked my two cents, and I gave it. I said, forcefully so, and am now yet undeterred from believing, that Dr. Paul and Governor Palin ought to have been induced in every manner possible to give prime-time speeches at our convention. Clearly, my advice was not heeded—but again, I wasn’t riding in that particular Derby. I felt, and today think, that Governor Palin and Dr. Paul represent a fervent, and highly energized, sector of the electorate and that their followers feel largely shunned by the process and they are correct to think that. Their voters, if they call any Party their home today, clearly belong to our Party. They deserve a say in things. How can we be the Big Tent and deny them? As did other candidates from the primaries and other Party sectors deserve a proper place at the table to share their ideas. They ought not to have been shut out. I was told some years ago by a fellow seized by the spirit of unnamed passions and filled with faux outrage that I personally should be ashamed of Governor Palin as she was unfit for high office. I was not then ashamed and am not today. Americans elect men who are unfit for high office on a regular basis. My response to the faux outrage–it is none of your business, nor mine, whom the people select to lead them. Did not heeding my two cents of advice cost us the race? Who the devil knows? The best jockeys in politics ride as hard as they can, savagely frankly when needed, but not dirty. “Ride really hard, but never dirty,” is the proper motto of any race jockey. The difference, as in any sport, is imperceptible to the spectator. The lad wants to win, but, cultivate a reputation for dirty race riding and you won’t soon be back to Churchill Downs—if ever—and you don’t deserve to be. I am fully sanguine in saying that no one feels worse about this loss than does Governor Romney and his family. Romney feels he let the people down—he is, crushed. He thinks endlessly on his father whom he dearly loved and admired and who was his teacher, his mentor. He feels he let old George down as well. This disappointment extends so, likewise true, to his lads and other attendants. They deserved to win, they ought to have won, they expected to win, and they simply didn’t win. This is highest grade, Group 1, of horse racing. The best horse often loses, good does not always triumph. Romney, his family and his team were the most disappointed sensate beings in the gathering dusk at Churchill Downs the evening of November 6, 2012; I can assure you of that. Losing the Derby is pure, unadulterated hell and heartbreak. You don’t recover, you move on, but you think on the “what ifs” every day after. You never forget a lost Derby. It simply cannot be done. That’s the magic of it and the sorrow of it, equally so, measure for measure. Let’s alter course here a bit. The Financial Panic of 2008 did, “fundamentally change America.” Who was to blame for the Panic of 2008 requires a number of completely separate full-length history books to sort out–and, as with all history books which go unread by all but a tiny few, such a sorting out is of little real-life value any longer. America, and the West, went off a very high mountain and into a ravine in the Panic of 2008 and we haven’t gone anywhere near the bottom of the ravine yet and we are not coming back—ever—unless something very drastic is done—which is most unlikely. The Panic of 2008 and the attending poverty, unemployment and despair that has followed, and relatedly, and considered together with, what to do about closing down the American war machine that saps our blood and gold and never ceases to churn, are the only political issues today of any consequence—there are no others. How to deal with poverty and despair in America? The standard Parties pretend poverty is not there, but it surely is. How do the big Parties differ respecting how to deal with systemic, and quickly coming, structural, American poverty on a mass basis? I have, in my life, been often asked the relevant difference between our two, principal, political Parties. The correct answer to this is eye-popping in its simplicity. The difference is that the other Party pretends to care about the poor while mine does not so pretend. This means, among other things, that my Party is marginally less sanctimonious before God–as the poor are His special ones. To pretend to care for them in order to steal their votes is, hence, far the more offensive to God than the position of my Party which does not so pretend. Like his father before him, Mitt Romney advocated to be a President who is a “moderate manager.” If that cost him the election, so be it. I recall vividly, sitting very close to Mitt in San Francisco in 1964 when the Party nominated a purist–Mr. Goldwater–and George Romney, a very successful, moderate, Governor of Michigan, cautioned the Party about the dangers of being hijacked by “extreme elements.” He was virtually torn from the stage. Things got very hot, George stormed out of the convention, his family in tow, and I am certain Mitt never forgets that ugly scene—he dwells on it every day—most especially now. 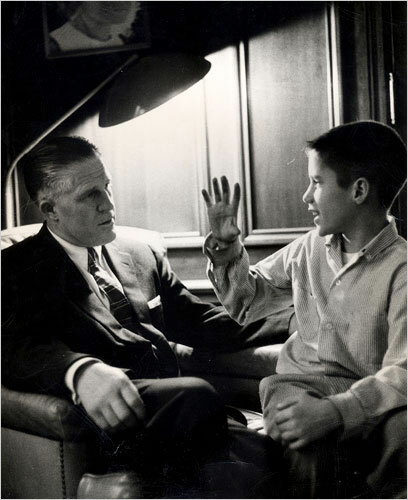 Yet George Romney was right in his fundamental thoughts in 1964, as his son was in 2012. The Americans do not want wild-eyed zealots as their President. This is rightly so as the Americans should not desire wild-eyed zealotry. If disgruntled true believers truly want to live under wild-eyed zealotry, they can repair to perhaps Egypt or Syria or Libya or, even more fun, Afghanistan. The Americans desire above all, in the words of Mr. Madison, a President, who leads a government that “protects the people and facilitates commerce.” And that’s about all the Americans want of their President and their government. That is what we all ought to search for—not manic zealotry—rather–moderation and a firm, sober, gentlemanly, hand on the throttle of government. Why, please say, Party brethren, is a gentleman President such an atrocious idea? As an adieu for today, consider what may well come if we do not directly and forcefully deal with the after-shocks of the Panic of 2008 and our bi-partisan, and consummate, failure to rein in the war machine. This entry was tagged gentlemen., moderate, Photo credit, Romney. Both sought high office. Both were bloodied by their own for the unpardonable crime of being mild-mannered, the Associated Press. The two gentlemen. Bookmark the permalink.